Work in a 3D model-based detailed design environment with tools for design automation, analysis and optimization. Civil 3D provides users the ability to work with intelligent 3D models for the design of roads, highways, and railways that build on Civil 3D objects and data, including subassemblies, assemblies, surfaces, feature lines, alignments, and pipes. Road rehabilitation and reconstruction workflows are more efficient with Civil 3D tools that analyze models with dynamic quantity take-off and earthwork calculations to help optimize mill and overlay. Drainage design tools allow for a variety of storm water management tasks to be performed, including storm sewer design, watershed analysis, detention pond modeling, and culvert, channel, and inlet analysis. Dynamo for Civil 3D brings design automation to infrastructure workflows by enabling civil designers to utilize visual programming scripts to automate repetitive and time-consuming tasks. Design-driven documentation automates plan production based on a 3D design model. Create plan and profile sheet layouts with construction documentation intelligently linked to horizontal and vertical alignments. Maintain multiple plan views that present text and labels consistently, regardless of the view's orientation. Ensure client documentation standards such as font, color, line weight, line type and sheet title blocks. Collaboration capabilities in Civil 3D enable multidisciplinary teams across locations and disciplines to share project data while maintaining standards, design accuracy, and security. Support for XREF, DREF, XML, IFC, as well as Esri ArcGIS and Bentley data interoperability facilitates more effective project data sharing and team collaboration. Integrate Civil 3D with Vault and BIM 360 Docs for on-premise project data management and cloud-based project coordination. Integrate workflows throughout the project lifecycle. Utilize an intelligent 3D model as the basis for project teams to better coordinate workflows throughout the project lifecycle from planning to design, through construction and maintenance. Begin detailed design with a conceptual and existing conditions model that includes GIS information from Esri. As additional design specifications and material details are added, the information in the model is enriched and its value to the construction and maintenance phases of the asset enhanced. 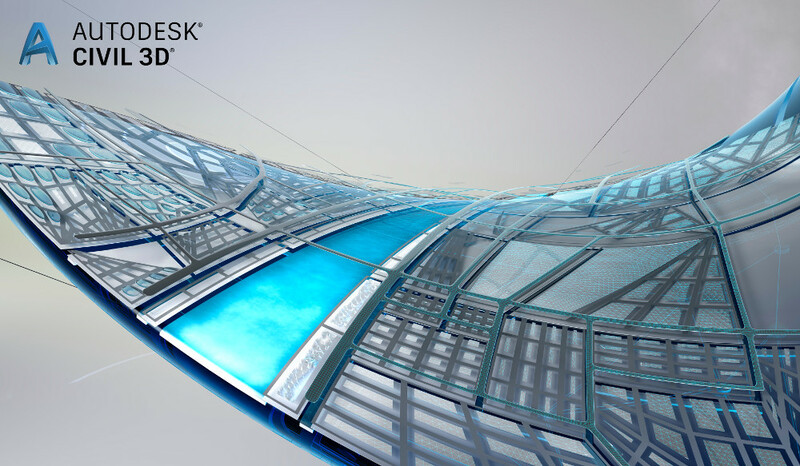 Collaborate across InfraWorks, Revit, and Civil 3D and other Autodesk tools. Bring architects and civil engineers together on a single project, facilitating site collaboration through Civil 3D, Revit, and BIM 360. Export site topography data from Civil 3D to Revit. Import your Civil 3D model into Navisworks to facilitate clash detection and construction sequencing of projects.